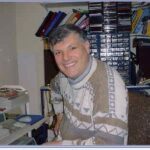 Verulam Amateur Radio Club is sad to announce that Brian Cockell (G8BJK) passed away on the 17th September 2015. 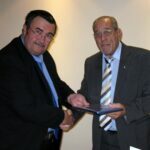 Brian was a founder member of the club and is pictured here on the right receiving a book on the life and work of Guglielmo Marconi from Normal Fisher (G8ATO) at our 50th Anniversary Celebrations. 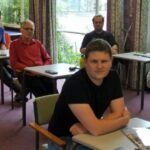 Seven candidates passed their Intermediate Level Examination in August following training by the club’s Lead Instructor Greg Beacher – M0PPG.